Join us as we celebrate jazz this summer! Two unique concerts will reflect a wide array of influences, including traditional American, Latin American and chamber-jazz fusion. First, La Voz De Tres brings an eclectic mix of jazz styles to Geneva on Friday, June 9. Chilean vocalist Natalia Bernal, keyboardist Mike Eckroth, and seven-string guitarist Jason Ennis blend the infectious rhythms and nuanced songwriting traditions of Latin America, original compositions and picks from the great American songbook into a surprising improvisational texture. Special guest Paul McCandless, legendary jazz oboist and multi-instrumentalist, joins the trio for interpretations of the music from their recent album Sueños y Delirios (Dreams and Deliria), which features music by Jobim, Stevie Wonder, Arsenio Rodriguez, Cesar Portillo De La Luz, Milton Nascimento, Billy Strayhorn, and Silvio Rodriguez, as well as McCandless and Ennis. Multi-instrumentalist Paul McCandless, special guest. He notes La Voz De Tres is looking forward to playing with special guest McCandless for this concert. 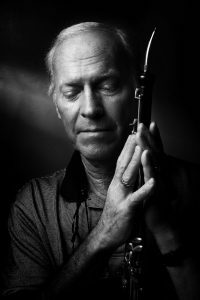 On Sunday, June 11, the Thomas Bergeron Quartet will bring love and romance to the Festival with a jazz-chamber fusion from Bergeron’s latest album. The concert will include new jazz interpretations of the music of Rachmaninoff, Liszt, Takemitsu and Scriabin, in addition to some original compositions and jazz standards. 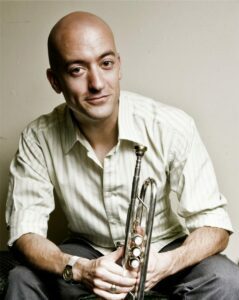 McCandless will be a special guest of the Thomas Bergeron Quartet, of which guitarist Ennis is a regular member. The group also will be joined by a string quartet of GMF-artists-in-residence, creating an octet of trumpet, oboe/bass clarinet, guitar, two violins, viola, cello and bass. The artists are all looking forward to the camaraderie and collaboration of the Geneva Music Festival, as well as the opportunity to spend time in the Finger Lakes. Tickets for both concerts are available online. Watch for upcoming “Artist Spotlight” articles on Thomas Bergeron and Jason Ennis this month. A video sampling of Thomas Bergeron’s sound can be viewed here.